Committee Members - Asian-American Homeownership Counseling, Inc. Committee Members - Asian-American Homeownership Counseling, Inc.
Tania Nguyen, NMLS # 450559, a has over 25 years of sales experience, with 12 years in the mortgage industry. 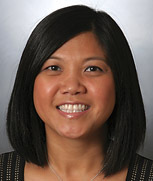 She has worked for Wells Fargo Home Mortgage for almost 9 years and manages a Mortgage office that is located in Reston, VA. She was born in Vietnam, but was raised in Springfield, VA and she has been a Virginian for almost all of her life. She is a graduate of George Mason University. She assists all home buyers, including first time homebuyers, repeat buyers, and individuals who wish to refinance their mortgages. Shani R. Else is an Attorney with The Susan Hicks Group PC, located in Fairfax, Virginia. Her practice focuses on Family Law, Divorce, Domestic Relations, Equitable Distribution, Custody, Visitation, Child Support, Spousal Support, Premarital Agreements, Post Divorce Modifications, and Separation Agreements. Shani is an active member of the Virginia State Bar, and Fairfax Bar Association, and she is the Vice President/President-Elect of the Asian Pacific American Bar Association of Virginia. She is also fluent in French and proficient in Spanish.